A Nigerian pastor and president of the Church of the Brethren in Nigeria has said that Boko Haram has killed as many as 8,000 members of the congregations he oversees, destroyed 70 percent of his churches, and left most of the pastors under his care without a job. "Seventy percent of our churches have been destroyed in Adamawa, Yobe and Borno states by Boko Haram; over 8,000 of our members were killed; one hundred and seventy-six of the girls kidnapped in Chibok are our members," the Rev. Samuel Dali said, according to Naij.com. While Dali kept up hopes that the Nigerian military will be able to finally defeat the terror group, which has waged war on the government and the country's Christians since 2009, he noted that many church facilities across Adamawa, Yobe and Borno states have been destroyed in various raids. With the wide-spread destruction of churches and slaughter of church members, he added that most of the pastors under his care have lost their jobs. Boko Haram's fighters have been struggling for control of towns with the Nigerian military in the northeast, and continue carrying out deadly acts of terror on villages where they slaughter dozens, sometimes hundreds of people, and kidnap women and children. Last week Boko Haram slaughtered at least 150 people in a raid on the remote Kukuwa-Gari village in Nigeria's northeastern Yobe state. "They opened fire instantly, which forced residents to flee. They shot a number of people. Unfortunately, many residents who tried to flee plunged into the river which is full from the rain. Many drowned," Modu Balumi, a village resident, told the AFP news agency. "By our latest toll we have 150 people either shot dead or drowned in the attack. The gunmen deliberately killed a fisherman who tried to save drowning residents of the village," he added. Nigerians have placed their hopes on President Muhammadu Buhari's promises that the jihadist group, which has pledged allegiance to the Islamic State in Iraq and Syria, will be defeated sooner rather than later. Buhari has even selected December as a deadline for driving out Boko Haram. "The end to Book Haram insurgency is also imminent. The president is working assiduously to achieve that soon just as he promised," said Femi Adesina, special adviser to the president on media and publicity, according to Naija 247 News. "The president has said the deadline to defeat Boko Haram is December this year. The president made a promise in July that Boko Haram would be defeated in 18 months, now he has changed it to December this year. He is the commander in chief and he has a wider view of the whole thing." American President Barack Obama, who welcomed Buhari to the White House in a meeting in July, has pledged $5 million in funding to Nigeria's military to help it in the mission. Obama praised Buhari's integrity, and said that the Nigerian president has "a very clear agenda in defeating Boko Haram extremists of all sorts inside his country." 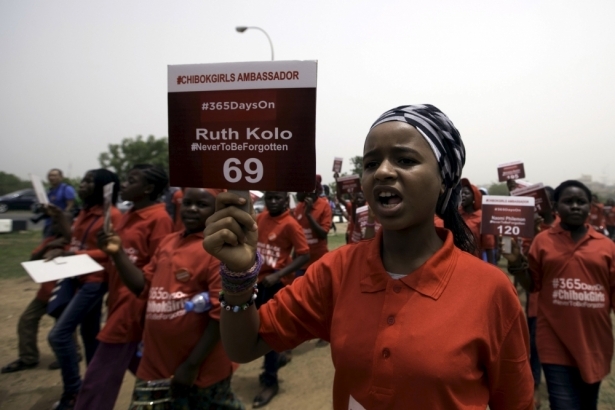 Persecution watchdog groups, such as Christian Solidarity Worldwide, have been urging world leaders to do more to stop Boko Haram, which it described as a "death cult." "Despite its pseudo-religious pronouncements, with every atrocity Boko Haram illustrates it is no more than a death cult that indoctrinates members to kill without conscience, regardless of the creed espoused by its victims," CSW said in a statement in July.